Please note that I am not a registered dietitian or nutritionist. through exercise and healthy recipes. 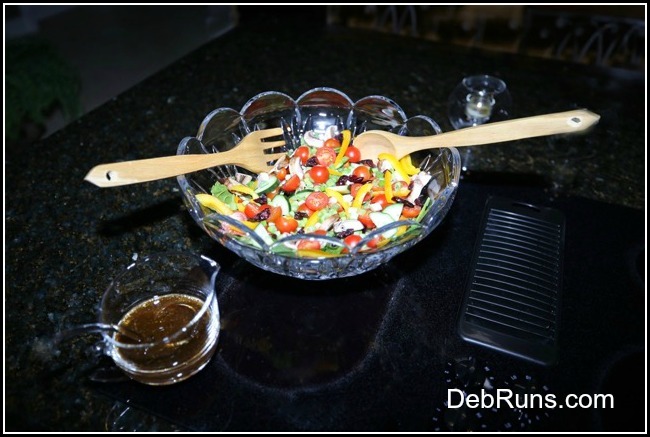 Click on any of the blue links below for full instructions for each recipe…..
Roasting or grilling vegetables during the summer is one of the best ways to fill up on low-calorie, high-fiber foods that are rich in vitamins and energy producing carbohydrates. 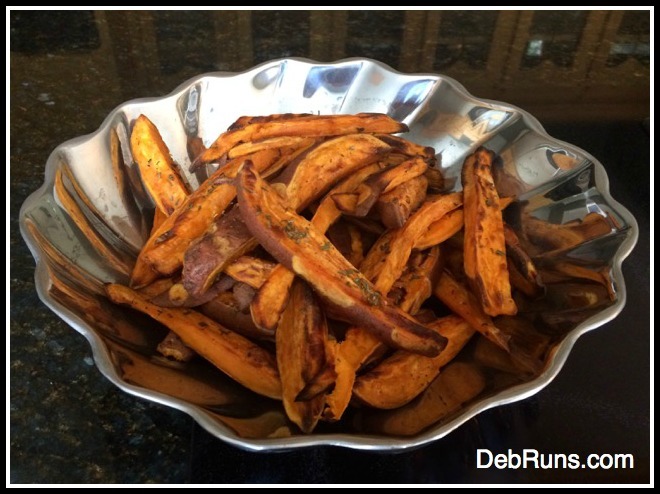 These homemade roasted sweet potato wedges are healthy and a great source of natural fuel for the busy athlete. 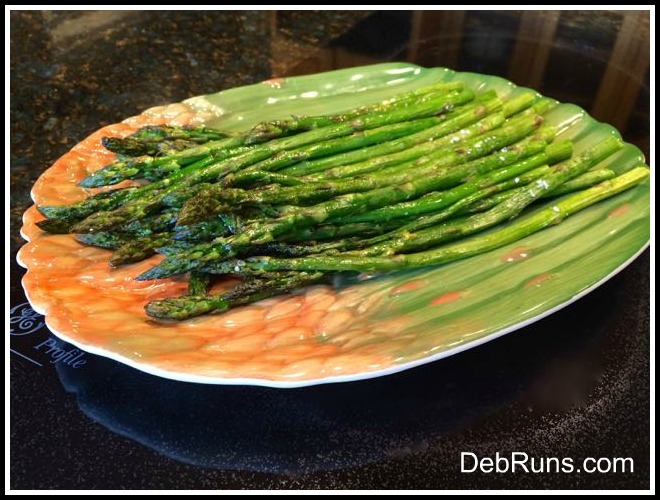 They also double as a delicious side-dish for your summer barbecue. 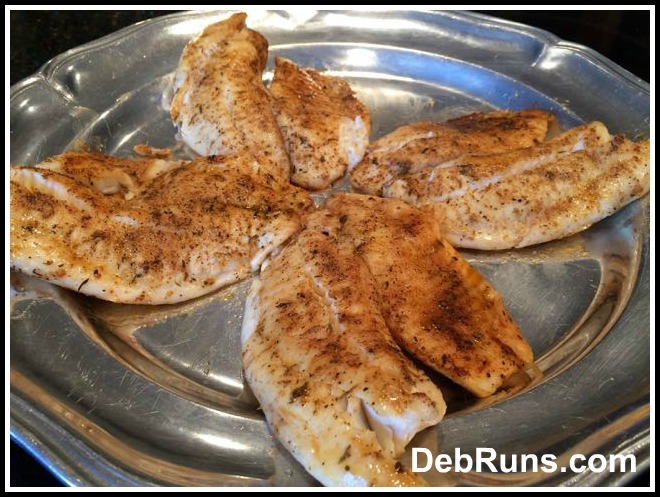 One of my current favorite fish to serve is tilapia. I enjoy it because of its mild, non-fishy flavor. Fish is a great source of protein, and is very desirable because it’s lower in fat than beef, pork, and even chicken. 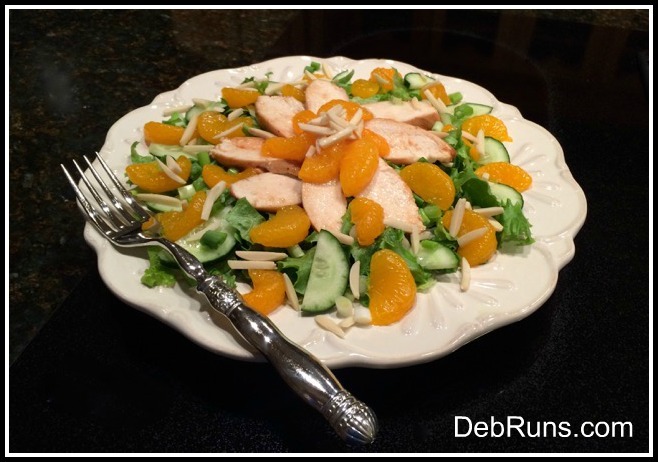 My husband and I love a good entrée salad, and one of our favorites is this delicious and flavorful chicken salad with a strong orange influence. I’ve been making it since we were first married, so it’s definitely a tried-and-true recipe. My friends always rave about my tossed salads, so much so, that they’ve dubbed them Debbie Salads. Perhaps the simplicity is what makes this salad so popular, but whatever the case, this salad is always a crowd pleaser. I found this recipe online and my family loves it! 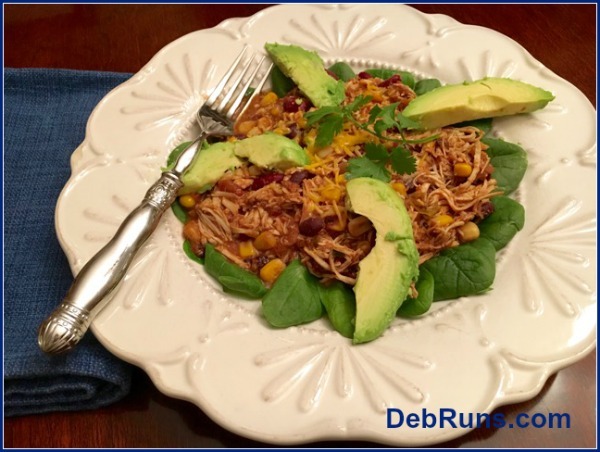 Even though I can take absolutely no credit for anything about it other than sharing a picture, give it a try and check out Gina’s other recipes while you’re at it! For a lower calorie/carb version, try serving the chili on a bed of baby spinach instead of rice. 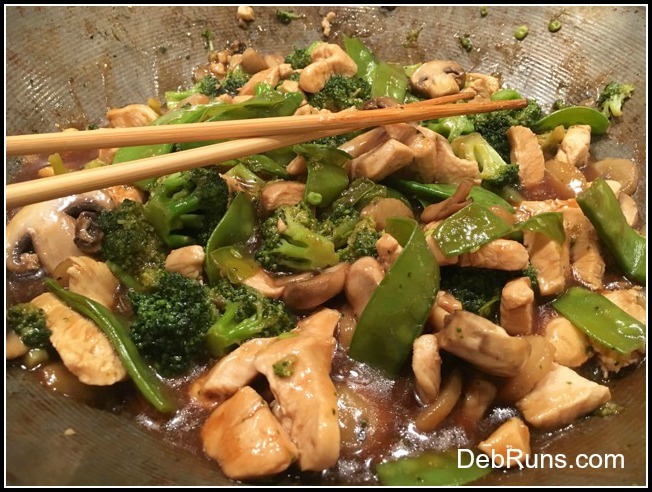 As soon as I saw this recipe in my November 2012 Runner’s World magazine, I knew I wanted to gave it a try. It’s become a favorite fall/winter hearty dinner for Bill and me.